Yaks are long haired and the coat is thick to protect them from the cold. It is a type of bovine found in the Himalayas and also in the high altitude regions of Mongolia and Russia. Yaks are heavier than cattle, and have short legs. They have been domesticated. 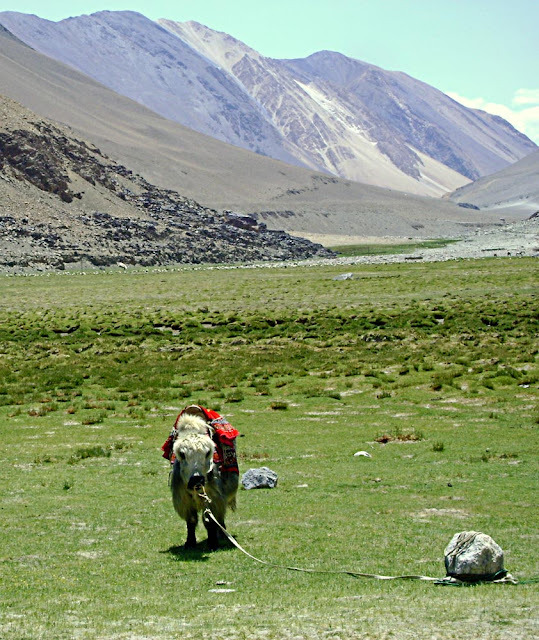 In the wild they are herd animals and the wild yaks are an endangered species. 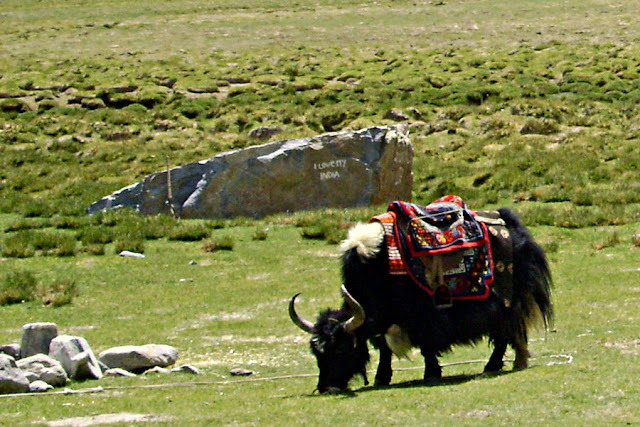 The yaks in these photos are domesticated animals used to ferry tourists. The pictures are short in Ladakh. This first one is a white coloured yak. This is a long haired black yak with a saddle for riding.